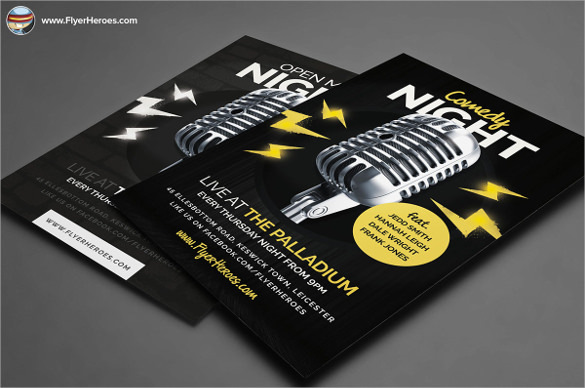 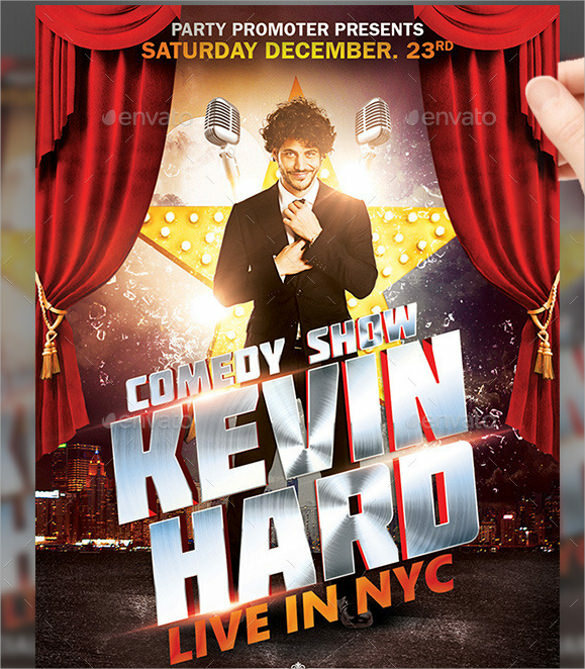 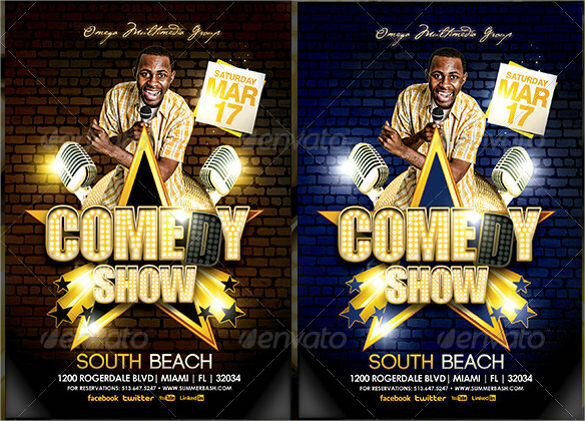 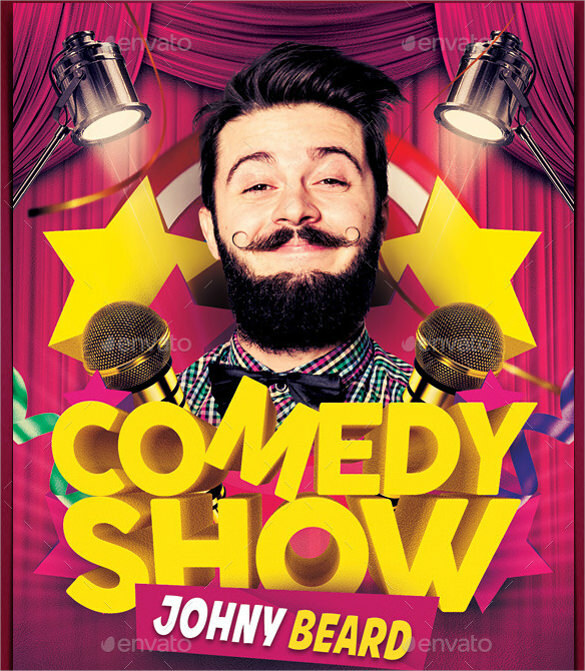 These are a perfect set of Comedy Show Flyer Templates that you can use for your shows as a comedian or as an owner of a Comedy Club to showcase your upcoming Comedy nights. 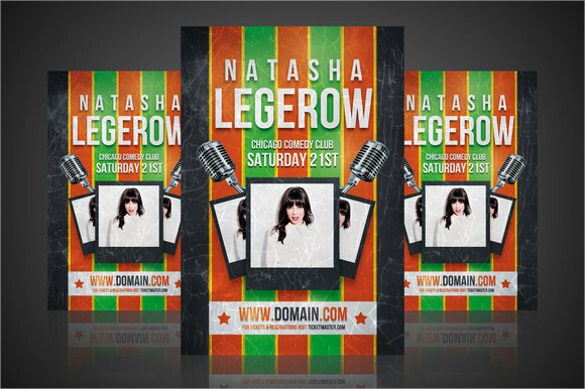 These Green Flyer Templates give you an opportunity to feature the star attraction of the event by inserting their photograph too. 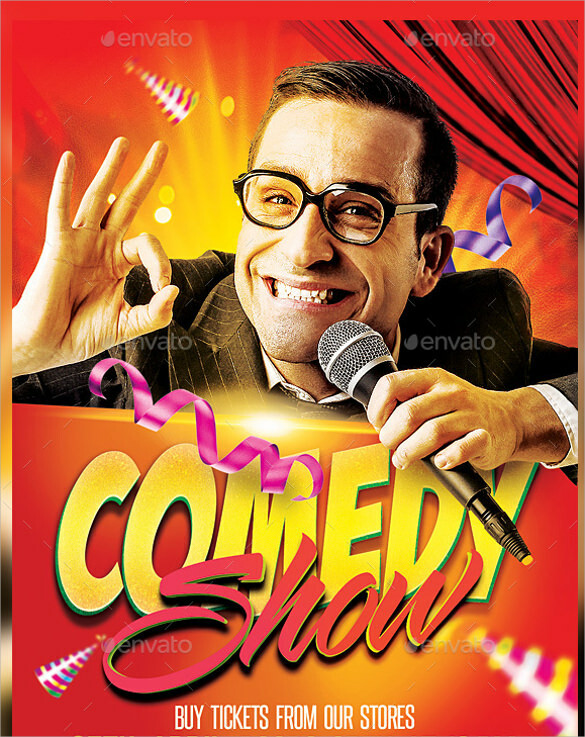 Since the text is editable, one can also add couple of jokes just to prepare the audience for the evening. 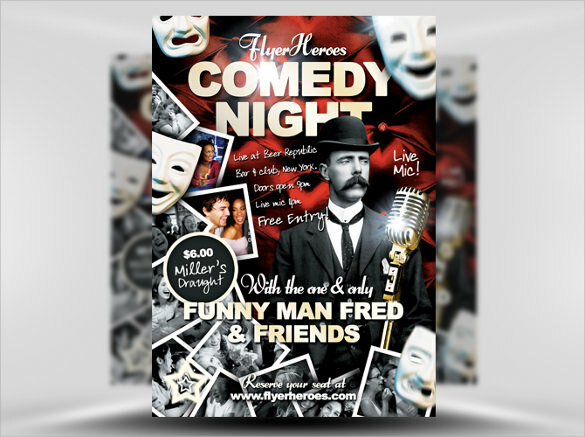 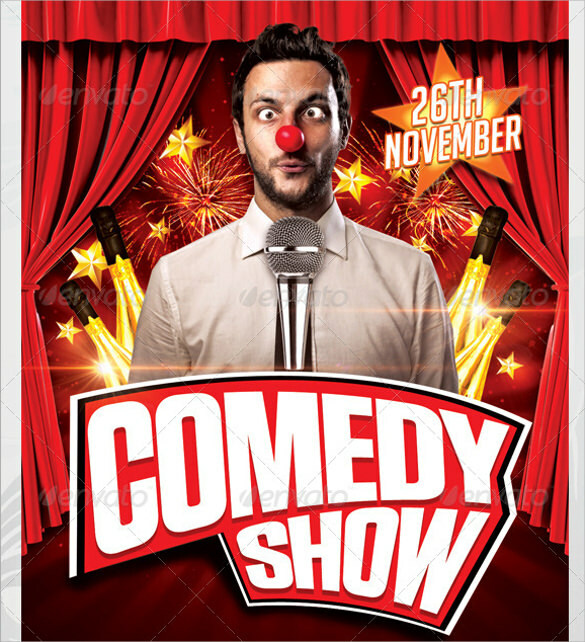 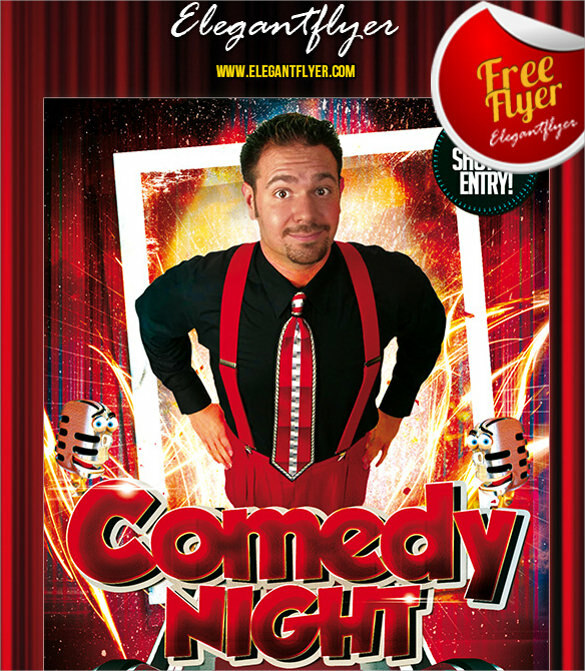 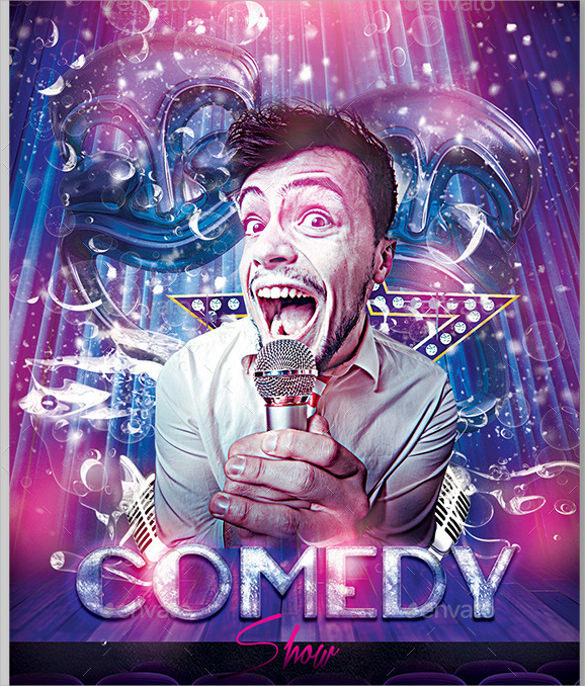 These flyers can also be used by event management companies who want to organize a comedy themed party.